The Meeting Lab offers a wide range of excellent fare for you to enjoy and recharge your batteries throughout the day. 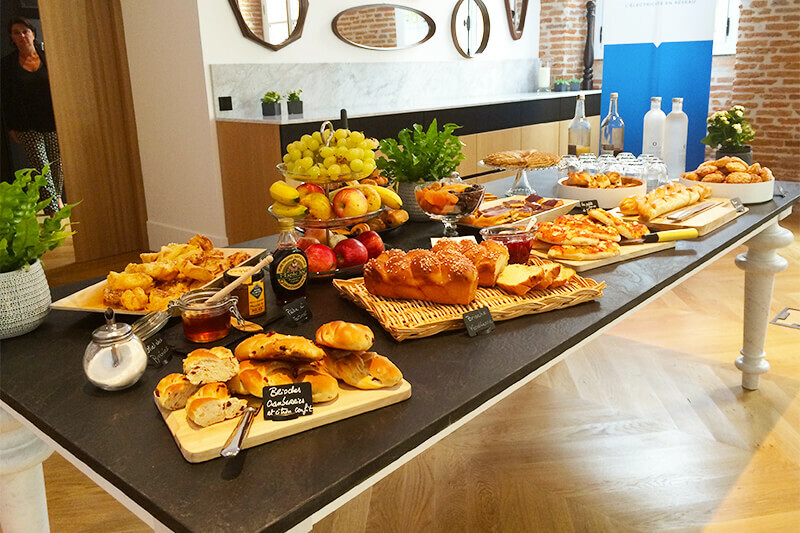 Unique in Toulouse, our Chef daily prepares in Meeting Lab’s professional kitchen buffets that will delight both the eyes and the taste buds. You will only find fresh, local and seasonal produce on our menus. 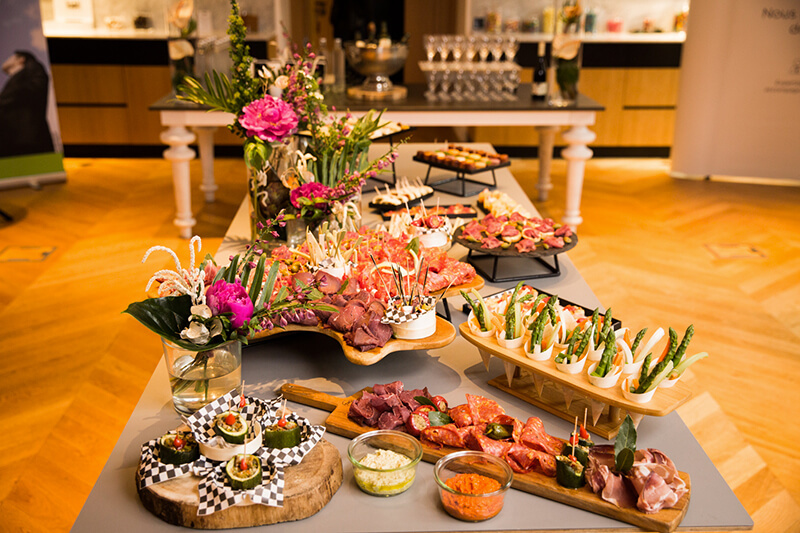 Our catering offer can be adapted to your every wish and dietary requirement, such as the particular allergies of certain participants. We pride ourselves on preparing menus that exactly match what you are looking for. to get off to a good start to the day! Do you want to hold your meeting during the daytime? 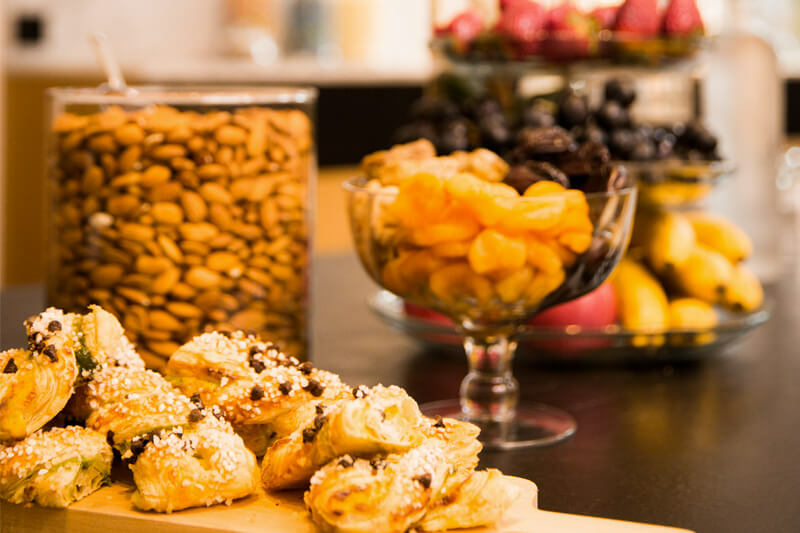 While on a break, you’ll be able to benefit from our assortment of sweet or savoury snacks. The meals are offered in a variety of formats, to suit your every schedule and desire.